The spin legend - Warne, who led Rajasthan Royals to its first and only IPL title in 2008, was the mentor of the side last season. 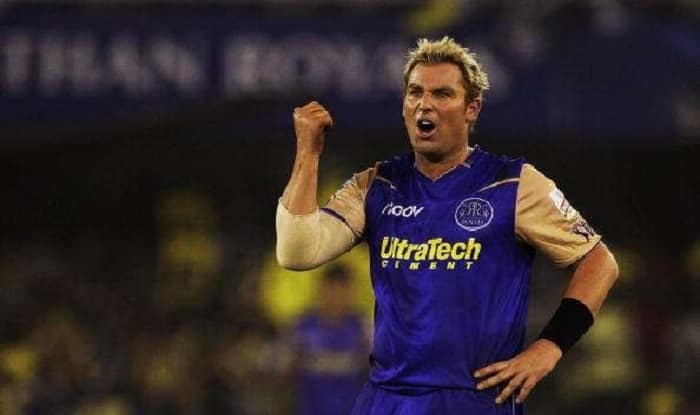 Australia spin legend Shane Warne was on Sunday named as the brand ambassador of Rajasthan Royals for the upcoming Indian Premier League. Warne, who led Rajasthan Royals to its first and only IPL title in 2008, was the mentor of the side last season. But this year the Australian will be associated with the team in a new role. Warne went on to captain Rajasthan Royals for four seasons until 2011, after which he retired from all forms of cricket. Rajasthan Royals lead owner Manoj Badale added: “This is an exciting change for us and comes as a response to the fantastic reaction from the fans to our training kit and Cancer Out jersey last year, as well as of course Jaipur being the Pink city. The decision to go all ‘Pink’ came on the backdrop of a huge response from the fans last season when Royals had worn a pink jersey for one match last year to raise cancer awareness.